Ever since I first walked into a Mulberry store, four years ago I've been in Love with this brand. It certainly has to do something with the fact that they're based in London but also their classic, timeless but still gorgeous and fresh designs speak to me. I bought my first bag about 2 weeks ago, which I'm absolutely in love with! It's the small bayswater satchel, here is a post about that bag. 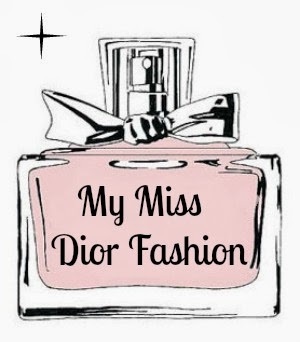 But since I bought that bag I got hooked, I always liked the brand but now I'm on the online site every single day. I'm sure you can imagine how my wishlist has been growing and growing. 1. 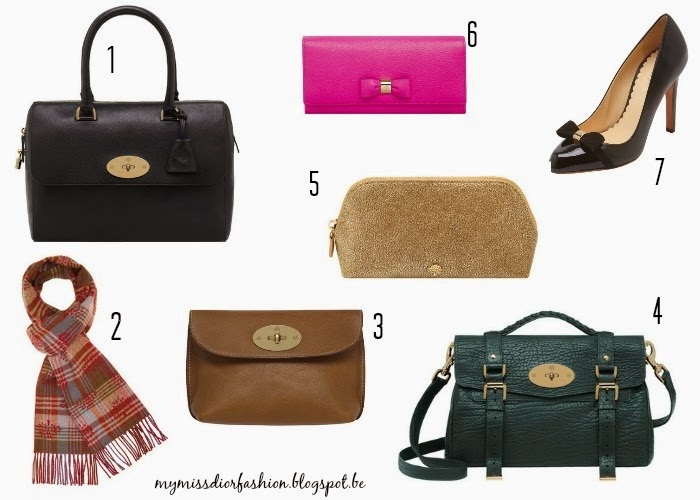 A bag that I would love to add to my Mulberry collection is the Del Rey bag, it's again a very classic bag. To be honest I don't have a lot of black bags in my collection just because I like brown or camel better, but this bag is gorgeous in black with soft gold brass. £1100. 2. I've been lusting after this wonderful scarf for over a year now! It's such a beautiful and very soft scarf made of cashmere and merino, this is probably going to be my next purchase, not sure haha £195. 3. This is a locked makeup purse that would go perfectly with the bag I already own. It's the same colour and has the same putlock. This makeup purse is perfectly to keep in your bag. £195. Let's say I've a lot of saving to do. I decided I'm going to save up for 2 designer items every year? Of course I'm not going to buy two thousand pounds bags every year. But maybe the scarf and the wallet for 2014 would be perfect! PS. I don't want to sound like your mother, but I would recommend everyone to still save for their future lives! It's very important to have some money aside to either go to college or start living on your own. So do keep in mind, don't spend every cent you have. Hope you enjoyed this post, feel free to follow or comment.